Prices of Hero Xtreme 200R have been increased in selective states, since its launch in August. The price hike ranges from Rs 1000 to Rs 2900. Hero Xtreme 200R is the most affordable 200cc motorcycle, that actually competes with the 150-160cc sporty commuter bikes. Priced at Rs 90,900 (ex-showroom Delhi), it is cheaper than the Apache RTR 160 4V. What we got to know that Hero has revised the prices of Xtreme 200R secretly. It was originally priced at Rs 88,000 in North East and West Bengal, while rest of the country got it at Rs 89,900. The prices have been hiked by Rs 1,000 in cities like Delhi, Mumbai, Bangalore, Ahmedabad and Chennai. West Bengal and some North eastern states get a price hike of Rs 2,900, now costing Rs 91,900 (all prices ex-showroom). The bike was first launched in the North Eastern states. Their pricing list came before the bike was launched for the rest of the India. Despite pricing it much cheaper than TVS Apache RTR 200 4V and Bajaj Pulsar NS200, Hero Xtreme 200R has failed to achieve decent sales figures since its launch. 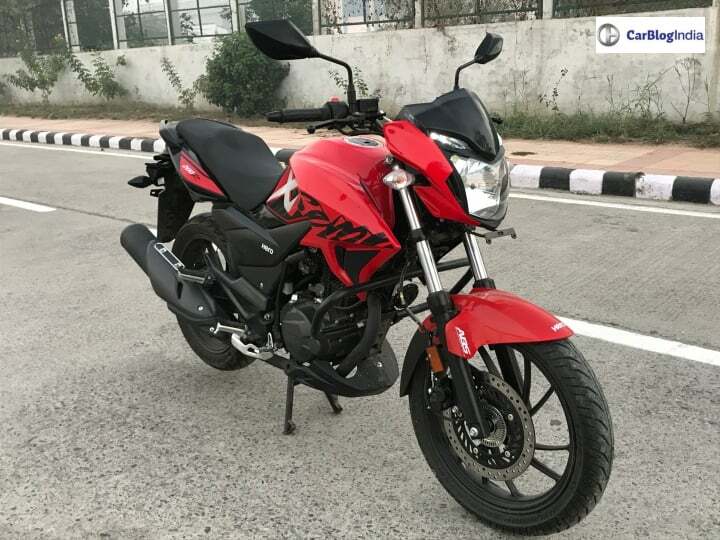 For the month of February 2019, Hero sold 1851 units of the bike. The figures are usually between 1500-2000 units per month. Given its pricing and engine specifications, it should have been a better selling bike. Hero Xtreme 200R uses a new 199.5cc air-cooled 2-valve engine, that is able to deliver 18.3 BHP at 8000 RPM and 17.1 Nm at 6500 RPM. The motor comes mated to a 5-speed gearbox. For suspension purposes, it comes with telescopic forks at the front and a 7-step adjustable monoshock at the back. Braking is handled by a 276mm disc at the front and a 220mm disc at the back, with a single-ABS. Features onboard include LED pilot lamps, digital-analogue instrument console, rear radial tires, single-step us seats and the single-ABS. As mentioned earlier, Hero Xtreme 200R goes against TVS Apache RTR 160 4V, Bajaj Pulsar NS160, Yamaha FZ V3 and Suzuki Gixxer.